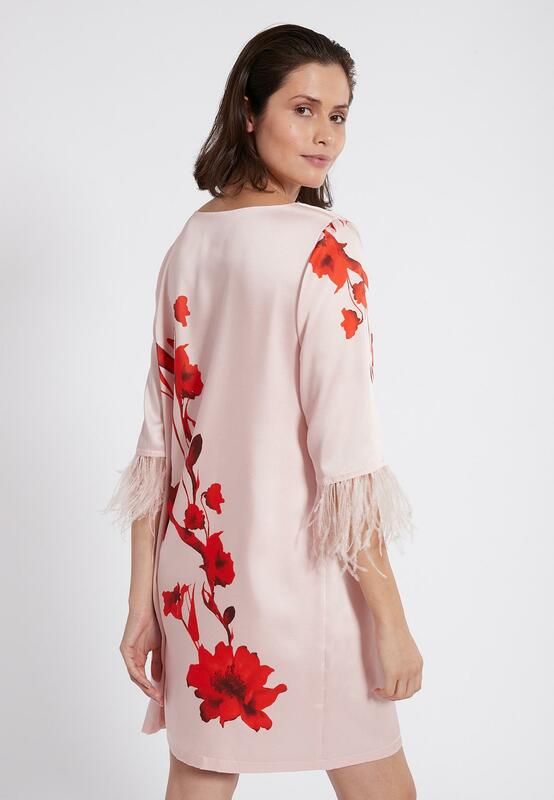 Our style team says: rich colour, floral pattern – this Asian-style mini dress enchants with the striking cherry blossom print and its flatteringly flowing form. 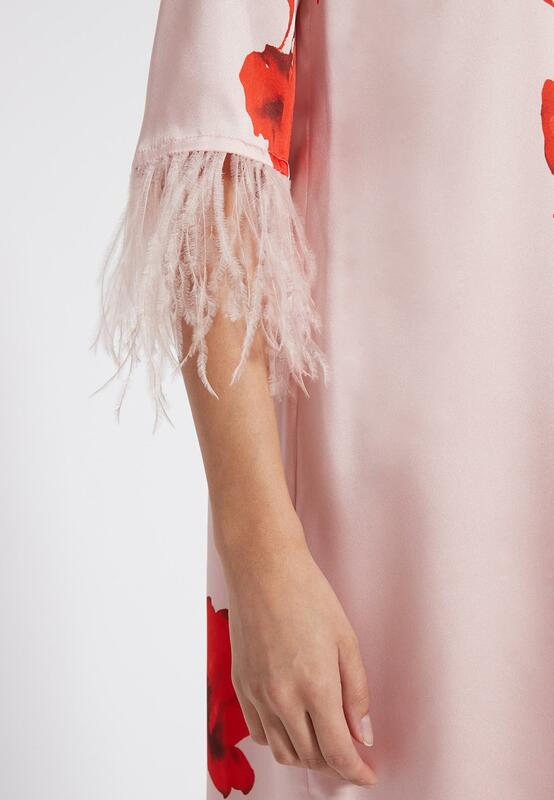 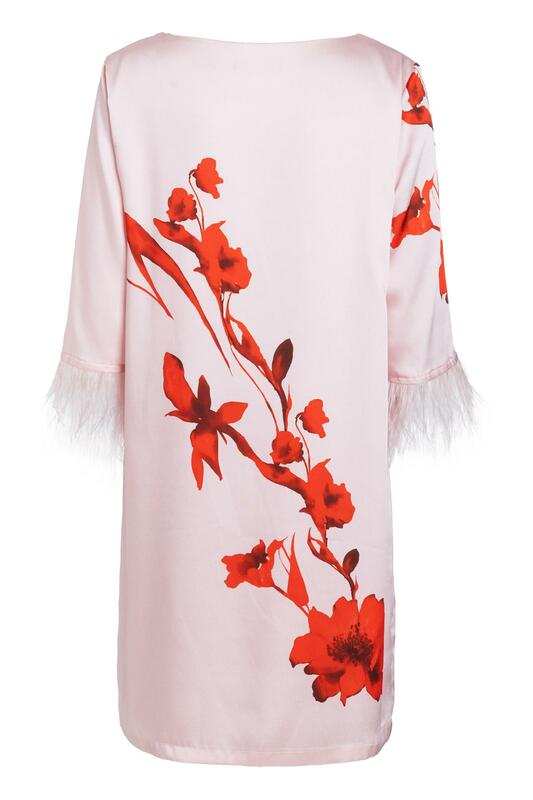 The feather trimmings on the wider 3/4 sleeves enhance the look in the base rosé colour. 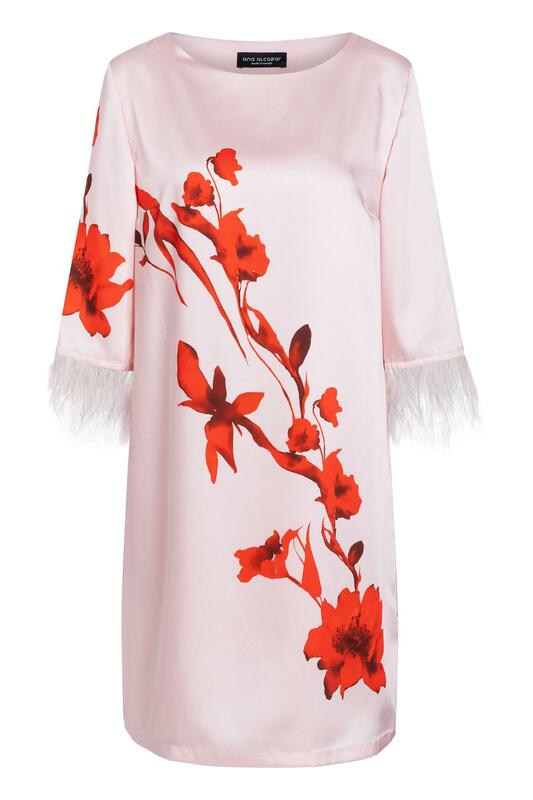 Cherry-red lipstick, flat sandals or slippers complete the Asian style.